Current climate change and anthropogenic pressures impose significant challenges to scientists and conservationists because of their synergetic impacts on coral reefs biodiversity and functioning. Particularly, overfishing of key species such as parrotfish (Genus: Scarus and Sparisoma) alters trophic integrity, depleting ecosystem’s resilience and thus, its ability to recover in the future. Consequences of its exploitation in Colombian’s reefs have not been quantified due to the lack of resources for investigation. 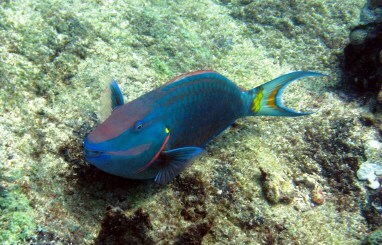 This project aims to acknowledge parrotfish conservation status and foster its protection. An analysis of fish population ecology and the identification of extractive activities characteristics and scale, will determine fishing impact on herbivores community. Training park operators in ecosystem’s surveying and educating fishermen community will construct community awareness, benefit local biodiversity conservation efforts and promote long-term protection of this endangered species.